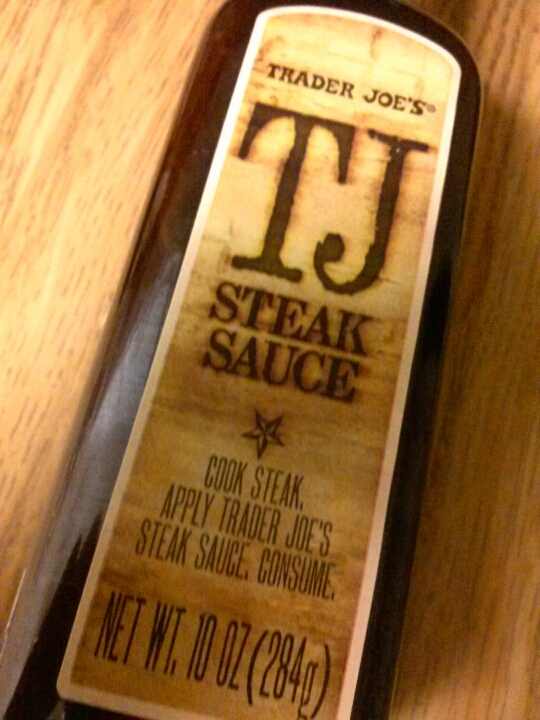 From Trader Joe’s you know it has to be good. 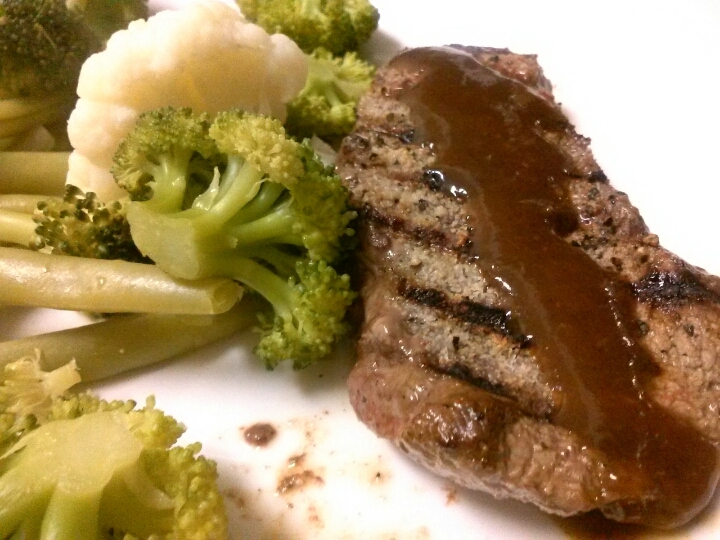 Their steak sauce is like A1 steak sauce – you put it on the steak AFTER you have cooked the steak. 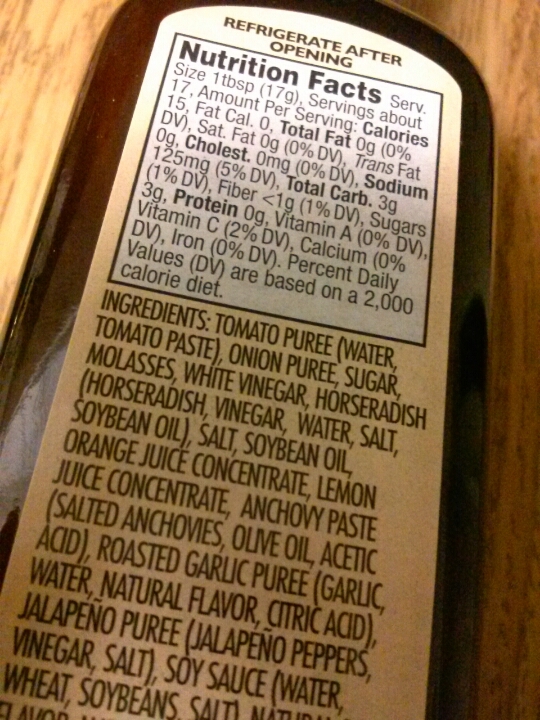 Pair with a well cooked steak and you have an awesome meal. Sweet, tangy, and smokey. A+ Yum!